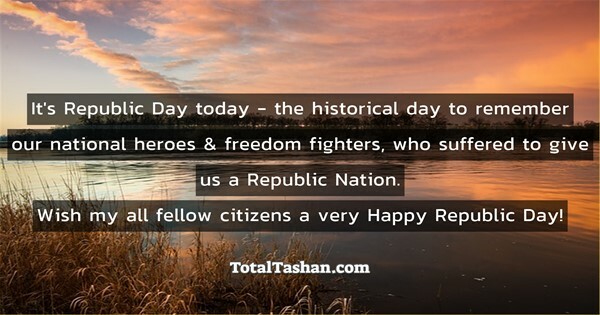 It's Republic Day today - the historical day to remember our national heroes & freedom fighters, who suffered to give us a Republic Nation. Wish my all fellow citizens a very Happy Republic Day! 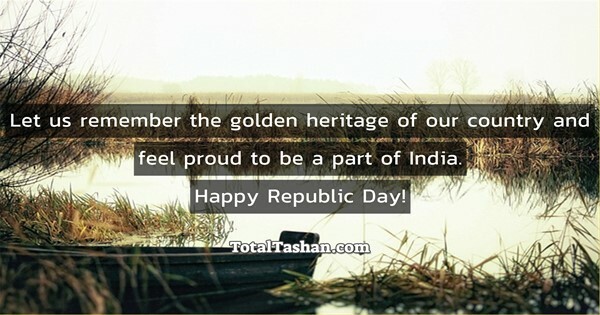 Wish all the fellow countrymen a very Happy Republic Day! 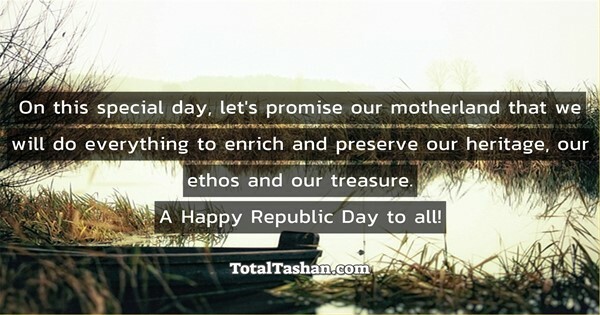 On this special day, let's promise our motherland that we will do everything to enrich and preserve our heritage, our ethos and our treasure. 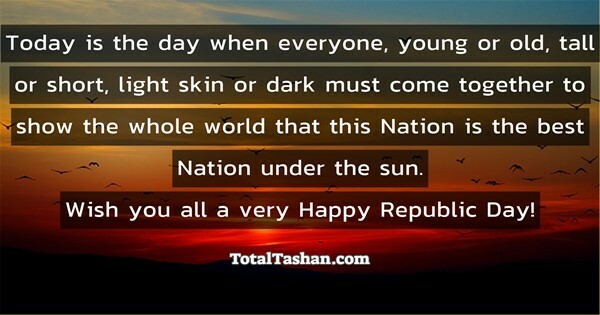 A Happy Republic Day to all! 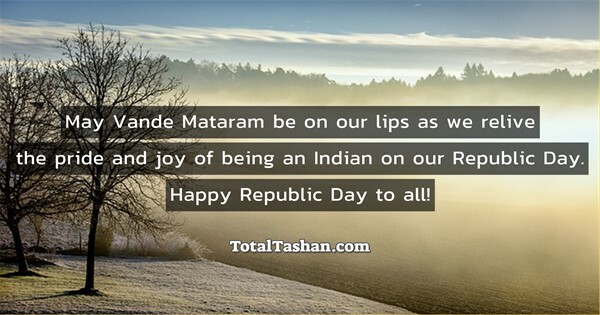 May Vande Mataram be on our lips as we relive the pride and joy of being an Indian on our Republic Day. Happy Republic Day to all! Today is the day when everyone, young or old, tall or short, light skin or dark must come together to show the whole world that this Nation is the best Nation under the sun. 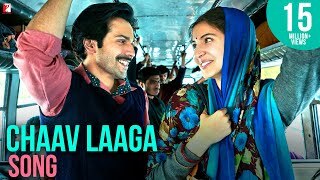 Wish you all a very Happy Republic Day!